1. 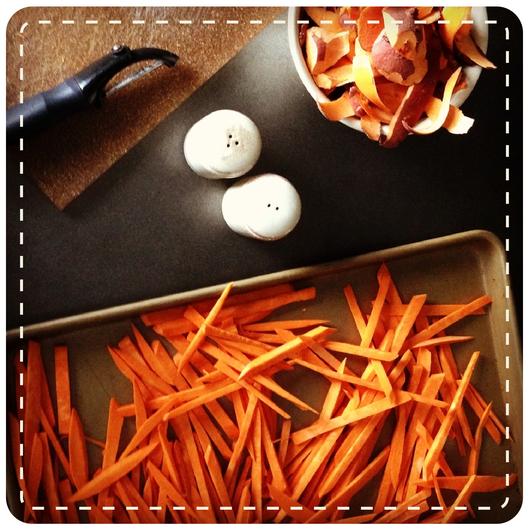 You want dinner time to be happier, healthier, and more fun. So you sign up for Perfect Pea! 5 dinner plans (1 for each weekday) of the following week. Individual recipes and family activities to go with each recipe. An organized shopping list containing all of the menu items. 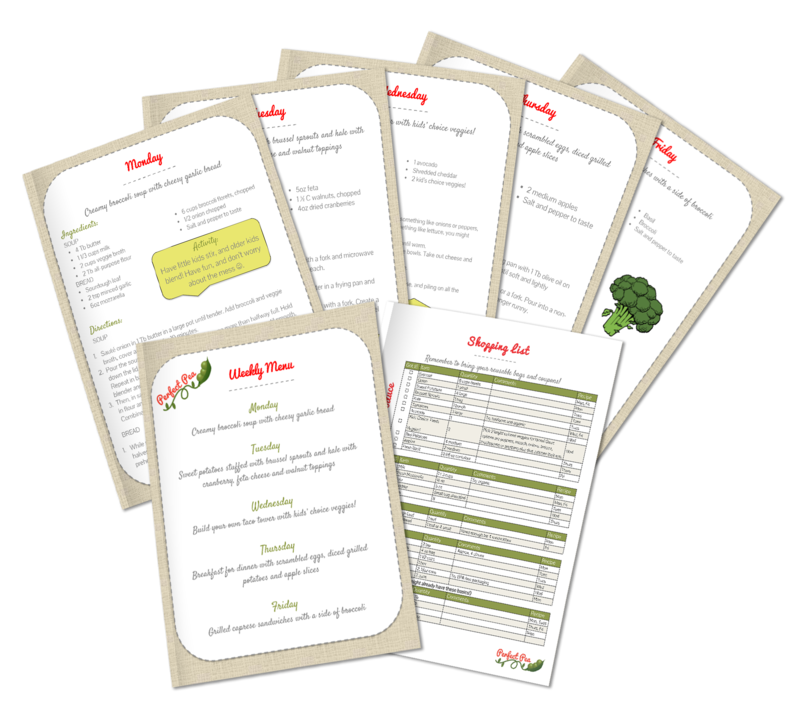 A printable weekly, mouthwatering menu to display in your kitchen so you can look forward to upcoming meals. 3. You and your family do the shopping and cooking using the list, recipes and activities provided. It’s quick and easy because all of the pre-planning has already been done for you. 4. Enjoy happy, healthy dinners that are more fun for you and the ones you love the most. Bon appétit! Yep, it’s that easy! Sign up and get started.